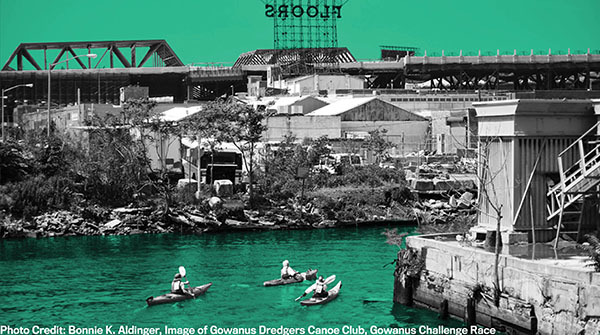 The Museum of the City of New York (MCNY), as part of its ongoing program New York’s Future in a Changing Climate, will present a panel discussion on the city’s watersheds and waterways. What can New York City do to protect its drinking water supply and its recreational waters in the coming decades? How is that supply affected by climate change, and what must we do to adapt? Join us for a deep dive into NYC’s complex water systems, which powerfully illustrate our city’s dependency on – and symbiotic relationship to – its larger regional environment and economy. Following the panel, the Valerie Green/Dance Entropy company will perform an excerpt from “Impermanent Landscape,” an immersive dance performance that captures the transient nature of living in an ever-changing urban environment. Impermanent Landscape is performed “in the round” in non-traditional locations, responding each time to the specific nature of the space. Before and after the program, speak with representatives from Earth Day Initiative to find out how you can green your lifestyle through simple, impactful changes. Register online at mcny.org/future | $15 with discount code FUTURE.